A transparent plastic film printed with an illustration of a face on the front to indicate where this should be placed on the patient. 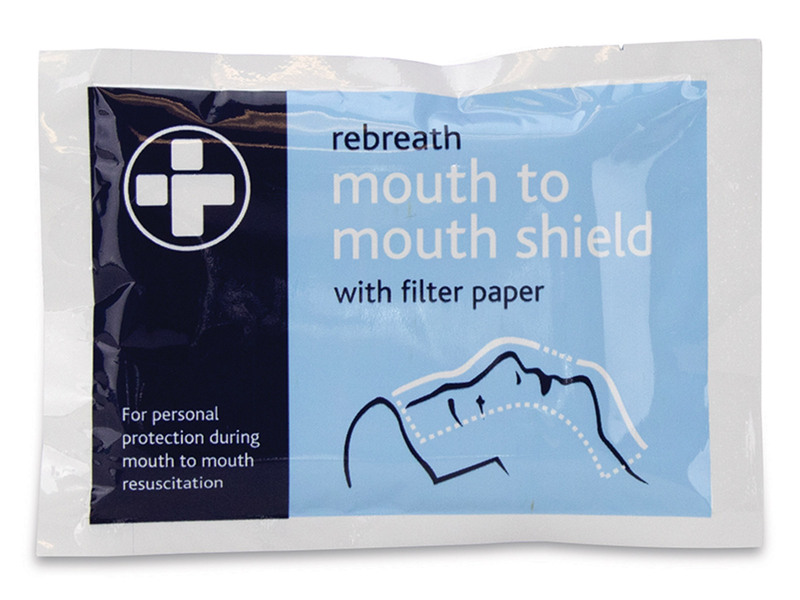 This mask is primarily designed for mouth-to-mouth ventilation of a non-breathing adult. 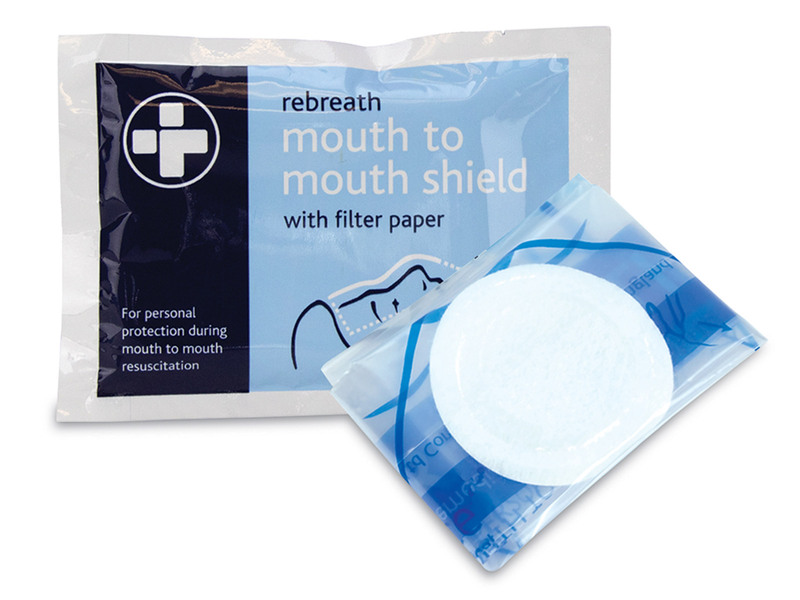 In the centre of the plastic film is a filter for protected mouth-to-mouth contact.